When I woke up this morning… (note suitably traditional beginning!) I heard the BBC announcer say that Leonard Cohen had died last night. Then I almost screamed aloud when he mentioned his ‘gentle introverted folk songs’. Whatever it was Leonard Cohen wrote and sang it was not ‘folk songs’. Leonard Cohen was born in 1934 so he was older than Elvis Presley! He was an established poet and writer before he took to song writing which he did partly because it was quicker and easier to make money from songs than poems. The songs he wrote are not written in the folk form and the melodies do not follow folk models. They are much more akin to French chanson or cabaret songs than to, say, Woody Guthrie. All the reports on Cohen’s life point out how beautifully crafted his songs are, every word is right, there is nothing random or lazy about them. He was still a poet and his whole life was much more that of a poet or a beatnik than it was of the archetypal 1960s ‘folkie’ - a famous blue raincoat not a smelly Afghan for him; living in the Chelsea Hotel and dating countesses; the Riviera not Greenwich Village. Cohen’s songs are intensely personal. They are about himself, his life, his relationships. You need a commentary to fully understand the lyrics. In many ways he would have been a better candidate for the Nobel Laureate than Bob Dylan. Folk songs very often tell a story from an individual point of view but the story they tell is one which everybody can identify with. The details are not significant it is the fundamental truths which matter so, although the song might be set in Tudor Britain, you can easily strip away the costume and find a story which is as true today as it was then. That’s why clumsy updates don’t work, they just aren’t necessary and, in fact, usually lead to the song being more dated than it was before! 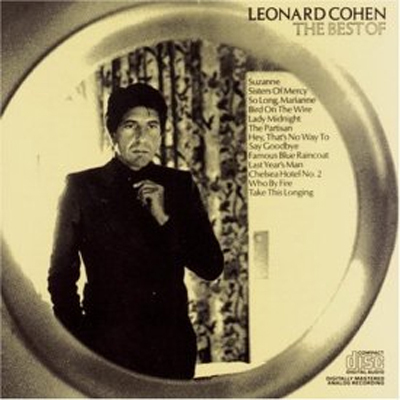 I have Leonard Cohen’s greatest hits LP and I enjoy it, particularly the ‘do it yourself’ style backings but I wouldn’t claim to have been influenced by him. Unlike Bob Dylan. 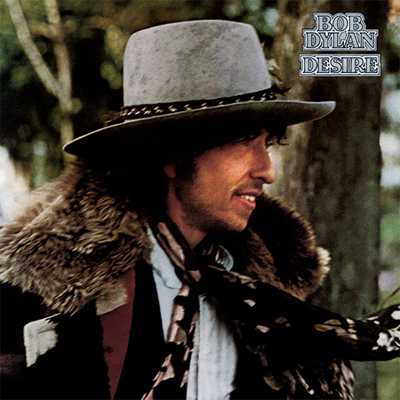 I don’t think anyone who has written songs in the last 50 years can have failed to be influenced by Dylan. He set us free. Dylan’s songs are not as crafted as Cohen’s. In fact he rarely performs them the same way twice so the version you know from the record (what we think of as the ‘correct’ version) was possibly the only time he actually played it like that. The whole folk-process took place within his performances. I first came across Bob Dylan when someone brought one of his first albums into school and we played it at lunch time. I thought it was horrible! Later 3 boys sang Blowing in the Wind in our Christmas Review—much more influenced by the sweetness of Peter Paul and Mary than by Bob himself. Meanwhile I, with my mates, played some Shadows tunes! Girl from the North Country is possibly the best ever version of Scarborough Fair. Nowadays I very often play Dylan for relaxation. Desire is perhaps my favourite album. I have always concentrated on singing traditional songs but remember singing Masters Of War as a protest against the Falklands War. Most of my own song writing has been for specific projects but Dylan’s influence has been great. For a Community Play about Mountsorrel in Leicestershire I wanted to write a really English song about quarry work but it insisted on sounding like The Times They Are a-Changing! One of my most successful compositions was The Ballad of Mr Leakey for a village project in Lincolnshire. It was taken almost verbatim from stories I was told in the village about an eccentric 1920s clergyman and his ghost who haunts the Old Vicarage. I deliberately used Dylan’s method of having very free verses with no set number of lines or rhymes. When it came to recording it I told my band “Make it sound like Dire Straits” and they did! And here’s a thought to finish: the three most influential singer-songwriters of the second half of the 20th century: Leonard Cohen, Bob Dylan, Paul Simon… all American, all of similar age, all Jewish… why…? There’s a PhD subject for someone there!